In a move that was expected by a few people only, AMD has unveiled its first Polaris-based video card – the Radeon RX 480. As you can see the card comes with a somewhat changed name but this is not a Radeon R10 video card – instead the new name is more or less a game of letters. The new Radeon RX 480 is based on the 14 nm Ellesmere GPU, which is made by GlobalFoundries. The chip itself includes AMD’s 4th generation Graphics Core Next (GCN) architecture known as Polaris. The Radeon RX 480 is equipped with 2304 stream processors that are housed in 36 compute units and a 256-bit memory bus that works with GDDR5 memory. The card has two versions – with 4 GB of GDDR5 and 8 GB of GDDR5 memory but in both cases the memory chips work at 8000 MHz effective clock speed for memory bandwidth of 256 GB/sec, while the GPU operates at 1266 MHz. The card needs just 150 watts of power and according to AMD it can offer more than 5 TFLOPs of single-precision floating point performance. The 4 GB version of the Radeon RX 480 will sell for USD 199, while the 8 GB model will cost USD 229. The card will be in stores on June 29. 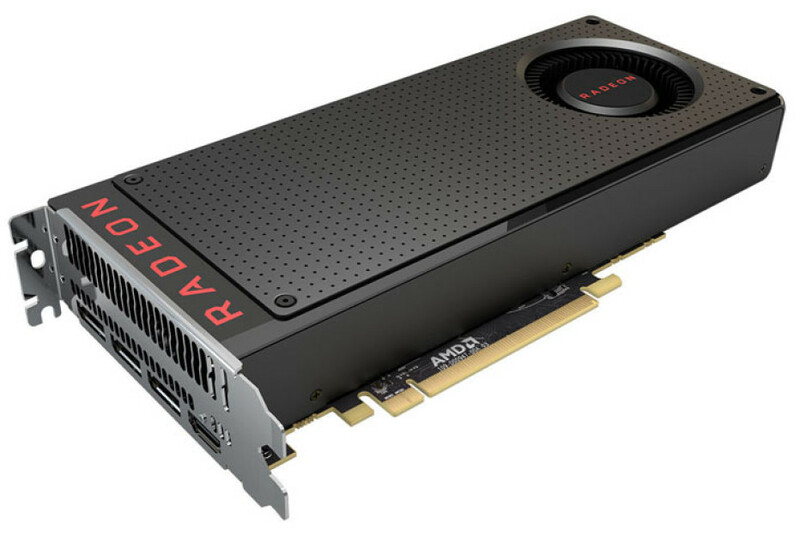 The first benchmark results of the new AMD Radeon RX 480 video card suggest that two such cards paired in CrossFire are faster than a single GeForce GTX 1080 video card, while costing about USD 200-300 less. AMD also says the Radeon RX 480 is just as fast as video cards of the previous generation, which sold for around USD 500, hinting directly at the Radeon R9 Fury and Radeon R9 Nano. In other words we will soon see a new very interesting battle between AMD and NVIDIA.